Check out our artist members’ artwork! Robin has been dabbling in watercolour for over 10 year but is now more serious in expanding and experimenting with new ideas. Kathryn Compton has lived on the West Coast most of her adult life, both on Vancouver Island and Vancouver. 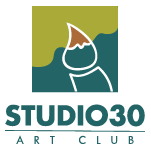 In Vancouver she was a member of the Burnaby Artist Guild and when she moved back to the Island in 2009, she searched patiently for another group to paint with and finally found Studio 30. Judy Savoie is an artist working mainly in acrylic and the occasional watercolor. Mostly self-taught, she enjoys painting our beautiful west coast in a modern style. Helen’s current work in oils and chalk pastels reflects her love of the outdoors. Annie started to paint and draw in her childhood. She is a self-taught artist. She loves to paint animals, especially birds. MaryAnn Desjardins is a self-taught artist of 26 years. Shirley Sarens has been painting and creating art for twenty years. She works primarily in acrylic and mixed media, enjoys watercolour and drawing media and creates striking art cards from her paintings. Lois is a second generation Victorian and finds so much beauty and inspiration in her hometown. Watercolour is her medium of choice. Linda loves the way the colours flow and come together. Born and raised in Victoria BC, Karen enjoys experimenting with acrylics and loves creating texture with molding paste, gels and mixed media. You will also find some of her work done in watercolours, oils and ink. She is especially known for her beautiful acrylic abstract beachscapes.